Desa Seni’s School of Yoga is internationally accredited by The Yoga Alliance and brings together a team of highly experienced teachers who provide daily classes, personal yoga retreats, continuing education courses and teacher trainings in a supportive and nurturing environment. 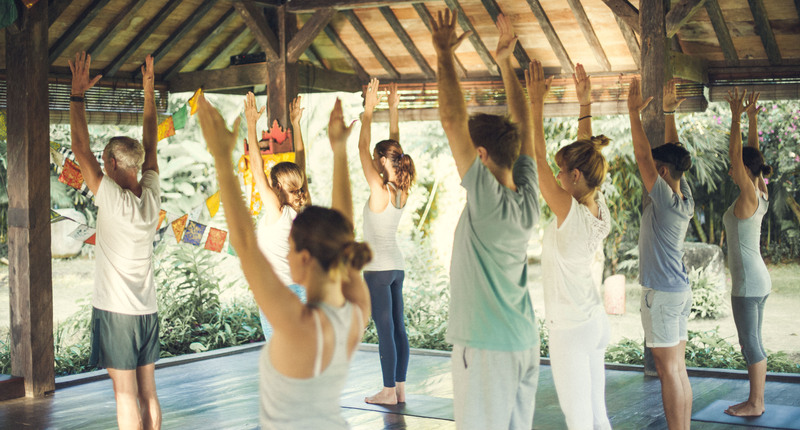 The Collective, Desa Seni School of Yoga offers a selection of distinctive private yoga retreats where your exclusive yoga teacher will lead you on a personal journey through deeper exploration, based on your individual needs, goals, and objectives. With programs designed for any type of yoga practice and available to all levels of practitioner, there is a private retreat to suit everyone. Private yoga sessions are the ideal way to address all aspects of your health and well being. Our teaching staff can cater to all levels of yoga experience specializing in personal programs designed specifically for injuries, illnesses, overall health and well being. This personal one on one session pays particular attention to your individual requirements and individual goals. Private Yoga or Meditation sessions are available on or off site, by appointment only. This personal one on one session pays particular attention to coordinating breath and movement with postures to suit your individual requirements and individual goals. Choose from a variety of different yoga schools: Anusara, Hatha, Restorative Yin, Embodied Flow or Vinyasa. This private yoga is a personal one on one session that pays particular attention to coordinating breath and movement with postures to suit your individual requirements and goals. The ancient path of yoga has at its disposal a vast toolbox of techniques whose purpose is to alleviate suffering. Working one-on-one with an experienced yoga therapeutics teacher provides the opportunity to work specifically on the particular problems you are facing, enabling a truly transformative approach to improving and healing ailments, whether they be physical, mental or emotional in nature. Through harnessing the extensive set of yogic therapeutic practices to help you with your own, individual problems, you will find yourself moving more freely through life, both literally and metaphorically. Meditation is an intensely personal and spiritual experience. The desired purpose of each meditation technique is to channel normal waking consciousness into a more positive direction by totally transforming one’s state of mind. To meditate is to turn inwards, to concentrate on the inner self. Meditation transcends all divides like religion, country and culture. It is a gift given to mankind to access the infinite sprit not limited by any identity. Modern life style has high exposure to anger, hate, fear and other negative emotions. These human emotions have a high tendency to duplicate and spread. Meditation helps an individual overcome these emotions to facilitate a calm peaceful mind and a healthy and stress free body. Upon daily practice an individual will blossom into an unshakable personality. The bodily benefits of meditation are: lowering blood pressure, lowering the levels of blood lactate, improving the immune system, increasing body vitality, controlling insomnia and increases overall health of the body. When the Breath wanders, the mind is unsteady, but when the Breath is still, so is the mind still." - Hatha Yoga Pradipika Breathing is life. It is one of our most vital functions. One of the Five Principles of Yoga is Pranayama (or Breathing Exercise) that promotes proper breathing. In a Yogic point of view, proper breathing is to bring more oxygen to the blood and to the brain, and to control Prana or the vital life energy. Pranayama Yoga also goes hand in hand with the Asanas. The union of these two Yogic Principles is considered as the highest form of purification and self-discipline, covering both mind and body. Five types of prana are responsible for various pranic activities in the body; they are Prana, Apana, Vyan, Udana, and Samana. Out of these Prana and Apana are most important. Prana is upward flowing and Apana is downward flowing. Practice of Pranayama achieves the balance in the activities of these pranas, which results in healthy body and mind. Available on and off site. * Private yoga and meditation sessions on site are subject to 21% government tax and service. * Please contact us at info@desaseni.com for offsite private prices. Desa Seni’s daily Yoga program caters to all levels and offers a variety of yoga styles, open to the community and led by a qualified, dedicated, and passionate team of teachers. All props and a delicious complimentary lemongrass tea are provided. The word Hatha is a combination of the Sanskrit words for “sun” (ha) and “moon” (tha). Traditional Hatha Yoga is a holistic yogic path, including moral disciplines, physical postures (asanas), purification procedures (shatkriyas), poses (mudras), yogic breathing (pranayama), and meditation. Hatha Yoga is a broad category of all the physical yoga, which includes all of the following systems and styles. Dynamic Hatha Yoga means a vigorously active physical yoga. Also known as “Power Yoga” or “Flow Yoga”, Vinyasa Flow is a westernized and more free-form Hatha style combining the breath / movement synchronization of Ashtanga Vinyasa with additional techniques and approaches, based on the creative direction of the instructor. Classes will typically involve a flowing movement through a series of poses, building heat, suppleness, and stamina, and paced either moderately or vigorously depending on the level. Yin Restorative focuses on stretching and strengthening the connective tissue of the joints through passive stretches, performed gently and safely. This provides greater flexibility and a sense of ease and lightness in the body. Using a base of the Ashtanga sequences to work harmoniously in the whole body, this class combines different asanas allowing for a creative, dynamic, challenging, yet playful flow. Vinyasa means to bind together, creating a flow by combining a sequence of asanas to the rhythm of our breath. Mindful Vinyasa incorporates the mental and emotional body with the physical in this creative state of flow. Take your practice one step further as you increase a deeper awareness of yourself. A vinyasa practice with a specific mental and emotional intention. Combine your three bodies (physical, mental and emotional) and watch yourself unfold! In this class of two hours, we will go deeper than possible in a regular class. Exploring aspects of posture, philosophy, the higher limbs of yoga. This class offers an opportunity to greatly enrich both one’s practice and life. In this class we explore the balance between effort and relaxation, movement and stillness. Part of the class will be in the yang style, with movement, more energy, and possibly some dynamic poses. The other part will be in the yin yoga style of holding poses in stillness for longer periods, usually between 3-7 minutes. In the yin portion you will be invited to relax completely and enjoy the opening in your body. By the end of the class, you’ll feel like you got some exercise and had a chance to rest deeply, so you’ll leave feeling balanced, refreshed, and rejuvenated. Breathing is life. It is one of our most vital functions. One of the Five Principles of Yoga is Pranayama or Breathing Exercise that promotes proper breathing. From a Yogic point of view, proper breathing is to bring more oxygen to the blood and to the brain, and to control Prana or the vital life energy. Pranayama Yoga also goes hand in hand with the Asanas. The union of these two Yogic Principles is considered as the highest form of purification and self-discipline, covering both mind & body. The very essence of the Balinese culture is dance and drama, which is performed during temple festivals and in ceremonies. In these classes children learn this beautiful dance. The classes are taught in Bahasa Indonesia and free of charge for the community. 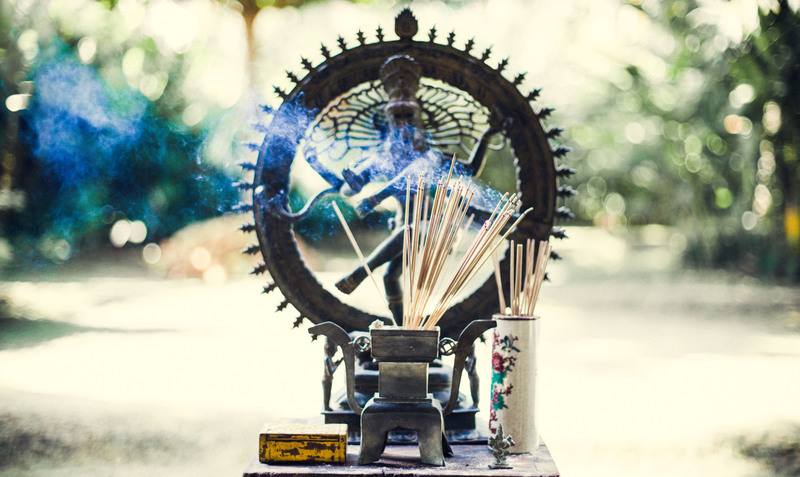 These classes give the Balinese community the opportunity to share yoga with each other. Pak Made teaches these classes in Bahasa Indonesian. These classes are free of charge. Classes without level specification are open to all. Our experienced teachers will offer variations for all levels of practice. (CE) Community Event: Donation basis, everyone welcome! IDR 700.000 for 6 class pass. IDR 1,200,000 for 12 class pass. Kids IDR 60,000 (10-17 Years old) per class.